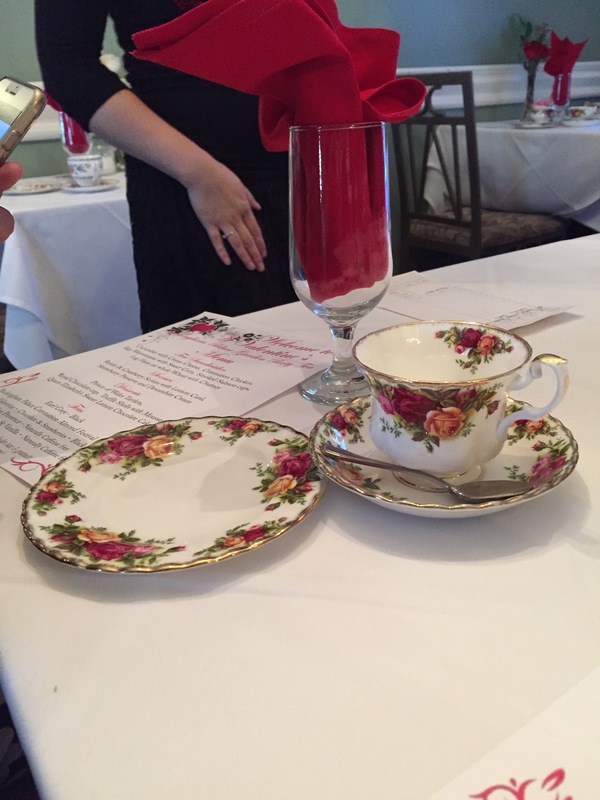 Yesterday, we had high tea at a new to me tea house in Woodland Hills. I was very surprised to learn that they were there for 10 years and I never knew about them. I love having high tea. I love to dress up, enjoy a good cup of tea, scones, etc. But, best of all, I love to talk with whoever comes with me about what’s going on and simply enjoy ourselves. The girl and I used to go to high tea when we were up north regularly. I hope we can continue that practice now that we’ve found and enjoyed this place. Maybe we can bring some friends to join us to share this experience. Other than going to high tea, I spent most of the day in my sewing room. I finished clue #2 for Scrapitude. I cut the last two pieces of fabric and finished designing the secret project. I like it much better with the new additions. I’m glad I waited rather than just lived with what I had. The top is pretty much done. I’ve got 3 final rows to put together and then I can sandwich it and quilt it. The best part of this project was that I used the featherweight for the first time. I had to read the manual to learn how to put the bobbin in and thread the machine. It wasn’t difficult. But I was still scared. It’s a really old machine! But I LOVE it! The first few stitches were big stitches but once I figured out how to adjust the stitch length it was wonderful. They weren’t lying when people said that the stitches sew a nice straight line. I also used the time to think about what I would name her. I’m not very creative with naming my machines. I’ve got Bernina and I’ve been thinking of the midArm as Bailey. 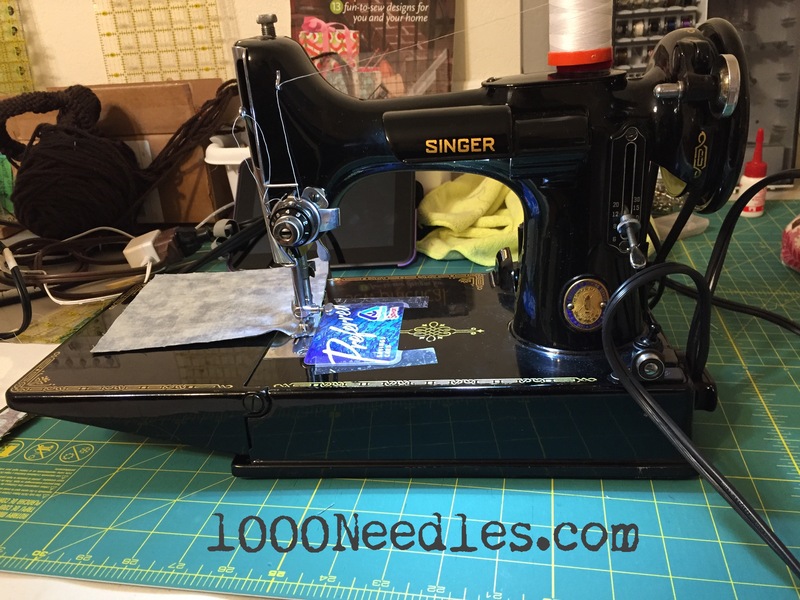 But I couldn’t call this featherweight Singer, my first machine was a borrowed Singer from my mom. It worked but it was cheap and loud and when I got it going, it would shake the table I was on. It worked, it did it’s job, but I didn’t love it. So I can’t call the featherweight Singer. And I can’t keep calling it Featherweight. In my mind, it wasn’t working. I decided to call her “Lola”. In my culture, we call our grandmothers Lola. And that is what this machine reminds me of, an older lady, to be respected, and probably the kind of machine my Lola used if she sewed. So on to the stash report – nothing was finished so nothing was used. 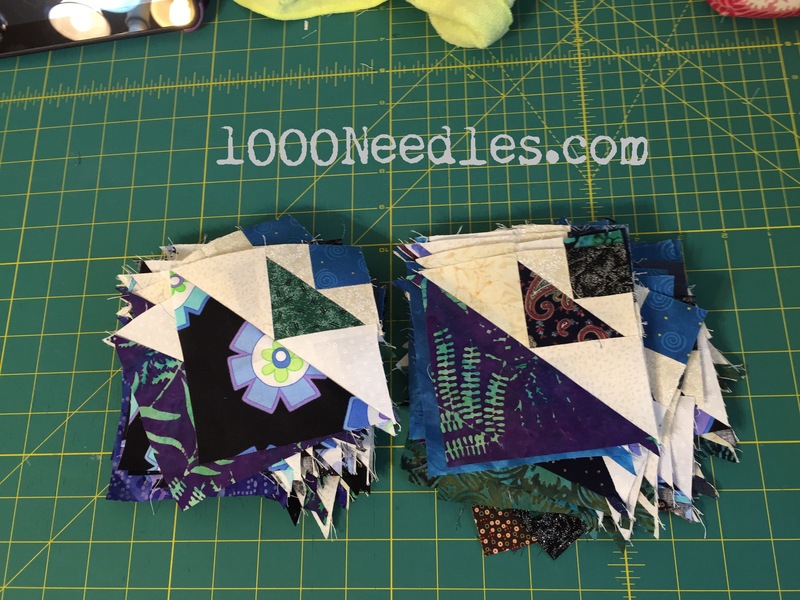 Remember I received 3 pieces for the secret project so I added 1.5 yards. 😦 That’s okay. I definitely bought way too much fabric for this project but I think I’ll be doing more secret projects to get the fabric used. Woohoo! Lovely featherweight. 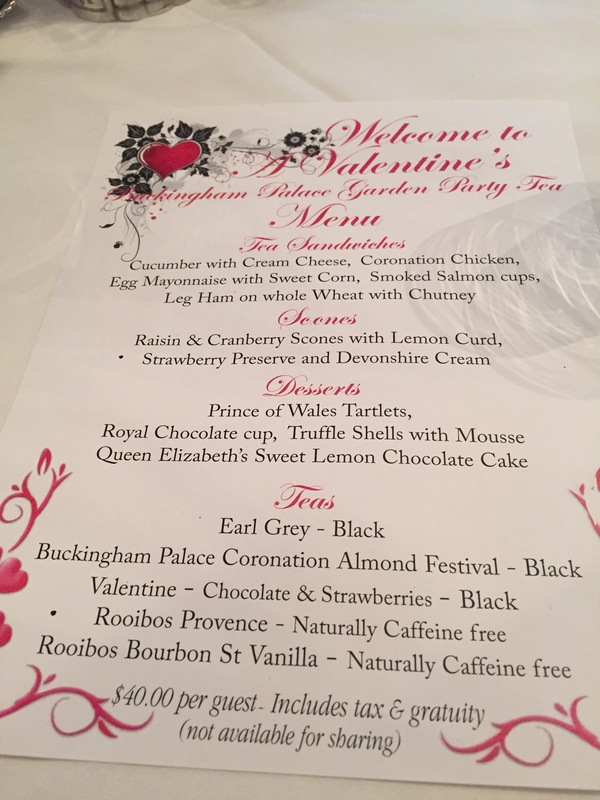 It looks like the high tea was great too! Hope you have a great week. I would love to go to a real tea house. The ones around here are really just sandwich shops. I haven’t used my featherweight yet. I know I need to clean and oil it first and I’m not quite sure how to do that, so I haven’t touched it. Nice to know it is easy to learn how to use. This was what I worried about when purchasing a featherweight on craigslist or ebay. I spent more buying directly from a dealer but it was worth it. I’m sure I will need to learn how to clean and oil it at some point so I’ll be in the same boat as you. I’ll be going online looking for help in that department – or maybe some guildmates would know how to and I can ask them. I really like the colors you are using in your Scraptitude blocks. I wanted to tell you that I really appreciate your background color in the comment box. I can SEE it as I type and don’t have to strain to see the words. My eyes are getting worse with age and looking at all these blogs. Bigger font and high contrasting colors are a big help. Thanks so much. Thanks Dar! 🙂 This kind of feedback is very much appreciated.